For more than 50 years landowners and investors have turned to Plantation Services for sound investment advice tailored to their personal objectives. 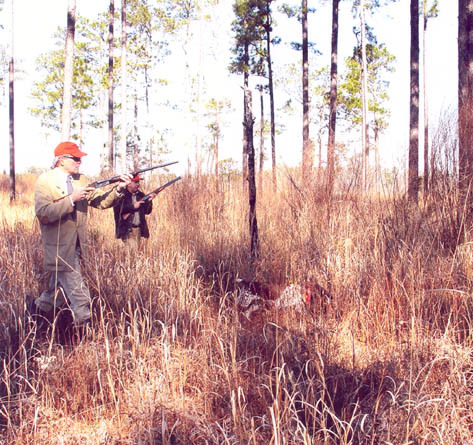 Plantation Services is well-known for both its strong management and marketing expertise for large commercial farms, hunting plantations, pecan groves and timber properties located in the southeastern United States. Investors have long recognized this area as one of the best combinations for agriculture and timber production in the world because of climate, long growing season, topography, soils and available water supply. *Plantation Services is one of the most well-known real estate and land management firms in the United States. *With offices in Albany, GA, and Charleston, SC , Plantation Services has been a dominant force in large southeastern land sales since 1959 . *Plantation Services has managed more than 150,000 acres of various Southeastern properties. Some of these properties have been under their care for more than 25 years. *The company has represented individuals, corporations, estates, insurance companies, timber companies, commercial banks, investment bankers, and foreign investors. *Plantation Services' brokers have handled the largest number of plantation sales produced by any brokerage firm in the southeast.